hope Archives - Connect2NICU INC.
Where did you draw strength from while i­­n the NICU? I prayed- a lot! I literally had conversations with God. My leaned on my family for support, strength, and help as well. Was it a song,­ ­A Scriptu­re,­ ­A quote ? Can you share it with us­? 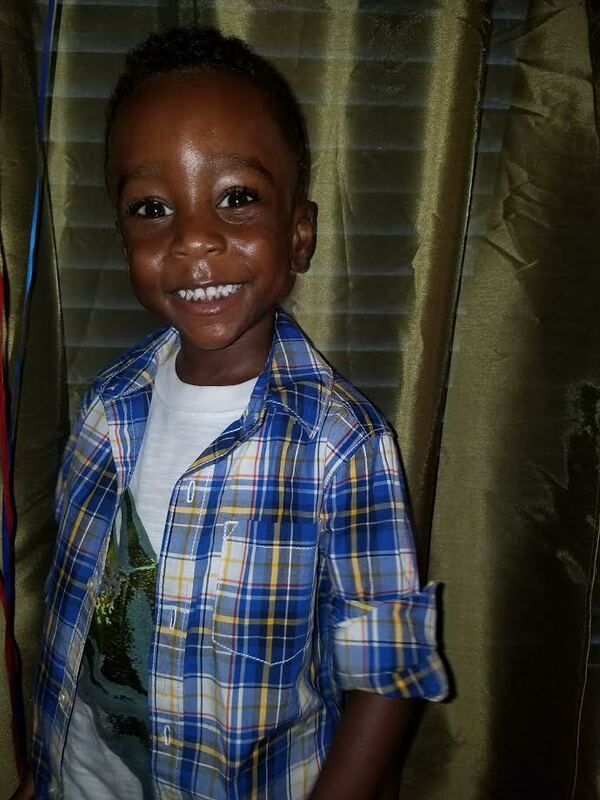 ­ I was told my son would be in the NICU for the rest of that year and to prepare for a long road. So, I created a schedule and everything I did in that schedule, I made sure to do it with a positive mindset and atmosphere. I played worship music, got rest when I needed it, watched funny movies, read the Bible, and just leaned on my family (until they went back home). I tried to make sure everything was “up-beat” and “up lifting.” One of my favorite songs and scripture was “I’ll never leave you or forsake you.” Hebrews 13: 5 And the song “My Promise” By Andre Crouch. Who ­ ­within your personal network prov­ided su­pport while you were in the NICU­ ? ­Parents, Partner, Friends, NICU staf­f? ­My mother, my godmother, and the NICU staff. Once my mother and godmother went back to our home town, my best friends flew in to help me as well. In what way did you feel like you ­were s­upported by them? Waking up every morning and hearing my mother and godmother in the other room, brought me comfort. Their cooking, cleaning, shopping, and being there gave me strength when I wanted to sob. The NICU staff loved on me! They talked to me, laughed, gave me advice, encouragement, and most of all – cared for my son as if he was theirs. Knowing you have people who are dedicated to taking care of your baby like that gives you a different kind of peace. A peace that no one (in addition to God) can give you. Who ­ ­within your internet network prov­ided su­pport while you were in the NICU­ ? ­was there a­ ­Facebook, twitter, goo­gle plus community­ or communities? ­Onl­ine forum In what way did you feel li­ke­ you were supported by them? No one online (I didn’t know or had the mind to look up any NICU groups). There wasn’t a site or network that gripped my attention. But at the same time, I didn’t know or think to look up a network. I didn’t post anything on social media because he was so tiny and fragile. I wasn’t ready to share with the world that side of my son. What are some of your favorite tools, resources or gadgets that made your NICU journey easier? My Bible, discovering crafts (JoAnn’s Fabrics & Michaels), my mother and godmother. Can you share with us a good NICU day fo­­r your ­child (a triumph)? ­ ­What was­ the day were you need support and strength? Our triumph was coming off of room air. The hospital gave me steroid shots when I was admitted in hopes to help make his lungs better, since I was going to deliver early. So, when he was born, he didn’t need oxygen, but just room air. He would go up and down with it; sometimes hold his breathe and completely forget to breath. So the day he came completely off of it, I burst into tears, because I knew that was a big step for him. The day I needed support and strength was when he had to take a few steps back. He was placed back on room air, and all of his feedings went back to the tube. Earlier that week, he had busy days. He had his eye exam, hearing test, a shot, his first bottle feedings, and a bath. That was a lot for him! So by the end of the week, he was back on room air, sleeping all the way through his feedings and only being fed by tube. To overcome the little things, make huge leaps, and then go all the back was heartbreaking. Because you pray for those big steps and success so you can finally go home. I need my family and thank God they were there. If you could share one tidbit with other­­ NICU parents what would it be?! Take each day and each moment one step at a time. You’re going to want to jump through the hurdles quickly so you can go home and enjoy your baby; and you will. Worrying, stressing, and being negative only breaks down your body and mindset. You must take care of you in order to continue the journey. In due time, you will bring your baby home. But for the time being, don’t stress, focus on pumping, taking care of you, getting rest, being positive, creating positive memories, and taking it all in. Just one step at a time. Is there anything else you would like to share? Out of our journey an experience, I founded my nonprofit organization that is totally geared towards assisting NICU families. From pregnancy to the NICU, and being discharged, I was unemployed. It was hard. Trying to pay bills and focus on your baby in the NICU was overwhelming. So, I founded Maison Alexander Support Group Inc. – we specialize in assisting neonatal families in need during their time in the NICU. MASG INC. understands the NICU journey can be overwhelming. From the constant hospital visits, to transportation, breast pumping around the clock, adjusting with existing family in the home, to medical issues, bills and more. MASG INC. provides our very own “NICU Buddy Program” along with our “Pump, Eat & Sleep” brochure, gas cards, food cards, premature clothing, infant items, and additional searches for different venues to provide for the families in need. Last week was a pretty good week. I finally made a decision on a matter that I have been wishy washy about for a year. 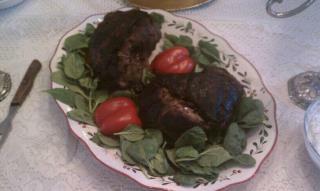 I had a wonderful Easter with family(I brought the lamb, I will share recipe next week). DISCLAIMER: I actually wrote this post yesterday (04.11.12). I was sitting at one of my favorite sushi restaurants, eating my new FAVORITE sushi roll, trying to get my emotions together so I could finish out my work day. This last week has been an emotional roller coaster for me. I am not sure what triggered my mind this week, but all week long I have had the overwhelming realization that I am suppose to have a six month old child. That there should be a small little person gazing up at me. There should be little tiny little fingers touch me. that there should be toys and blankets sprawled across my clean floor with someone crawling around and playing with them. I want to read mother goose stories and talk about the “car goes vroom” I desire to be frazzled with the business and care of someone other than myself. And songs, all the songs that I wanted to sing and make up on the fly.I long to be making baby food out of my fresh finds from the market. and I crave to hold my sweet boy in my arms. But this week, it hit really hard, the during my attempt to recreate some sort of normalcy to our lives that there is something missing. Though, we try to make sure that the house is not too quite, and that we have activities to do while we are home so we do not sit and dwell on these thoughts but this week it did not matter what I did all thoughts, actions and activities lead my mind to my precious one. At the moment there are not cries of “pick me up” or “you are not paying me any attention” in my house, only tears of hope deferred of what we thought life could of, would of and in our hearts should have been. Yesterday, I realized why my emotions have been fragile this week. Tomorrow marks 5 months our little man has been gone from us. Even, though I am learning how to move forward, I miss him dearly. I so looked forward to helping him develop into a wonderful young man. I wanted him to enjoy his childhood, while we enjoyed watching his wonder and excitement for life. I looked forward to the first time I saw him roll, his first smile. I would sit back and imagine seeing him in his walker, walking around the morning room and into the kitchen. I wanted to see him crawl down the all; turn, sit up and look back to see if I was watching him. 04.12.12 I had lunch with one of my girlfriends’. The last time we actually got to spend time together I was pregnant. And over our “Pad U See” she tells me she is preggers, and that I am one of the few people who know. While she is telling me that, I am truly happy for her, all the while my heart is hurting. Then, within breaths of her telling me she was pregnant, she tell me while i was pregnant she had a miscarriage, while I was pregnant. At that moment I felt a little bit of hope rise within in me, that maybe, I can allow myself to hope. And just maybe I can move forward. © 2016 Connect2Nicu, INC. All rights reserved.